A huge amount of traders fall for the myths about Forex trading and this means they fall for a Forex trading scam. How do you spot the scams and find the reputable educational sites and education online. If you review all Forex info and products and use the checklist below you will find the info which can lead you to trading success. If you see anyone saying its easy to make 200% - 1,00% plus gains per annum with a strategy or system, then be cautious. Some of the world's best traders make up to 100% but these trader are the best of the best. There is no such thing as easy gains in Forex. Sure you might be able to make 100% plus gains but you will have to suffer periods of drawdown and work out a strategy to do it yourself you can't follow anyone else. The big problem all Forex traders have to overcome to achieve success is dealing with drawdown. You see robots and Expert Advisors claiming you can make big gains with low drawdown and make no effort all you do is follow the automated buy and sell signals generated by the system but there all lying. If a automated system could make just 20% per annum with a 10% drawdown it would be worth several hundred million dollars to a Hedge Fund who would definitely buy it not just a few hundred dollars. Never buy any of these get rich quick automated trading systems there all scams. 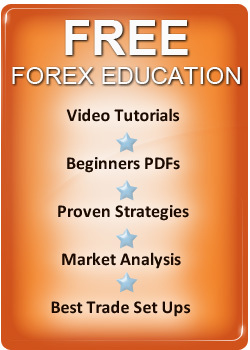 I you look at the video tutorials you will find out what it takes to win at Forex. You can win at Forex but to do so you need to get the right information training and education and avoid the scam products.